Enterprising builders several hundred years ago were heavily into recycling. And one of them quite possibly floated the idea of getting beams from Portsmouth Dockyard to help with the construction of a property called Old London in the north Hampshire village of Liss. 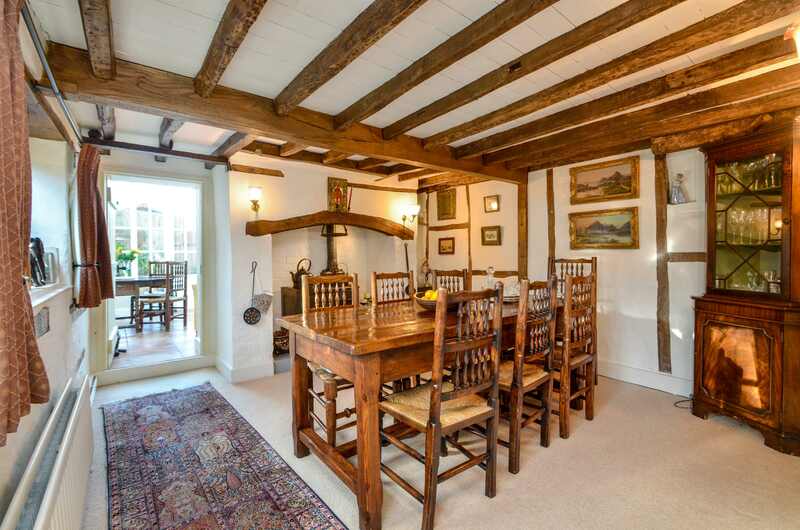 “The house is listed because of its architectural interest going back several centuries and the exposed beams in walls and ceilings are believed to have been obtained from surplus old ships’ timbers in the Dockyard,” explains Colin Shairp, of Fine and Country Southern Hampshire estate agents. “I have seen other properties where restoration work has revealed timbers that have quite obviously had a previous life because they contain the remains of old joints and other features that would not fit with the building they now help support. “Old London is an extremely attractive home, enhanced by the timbers but not relying on them alone for its appeal. 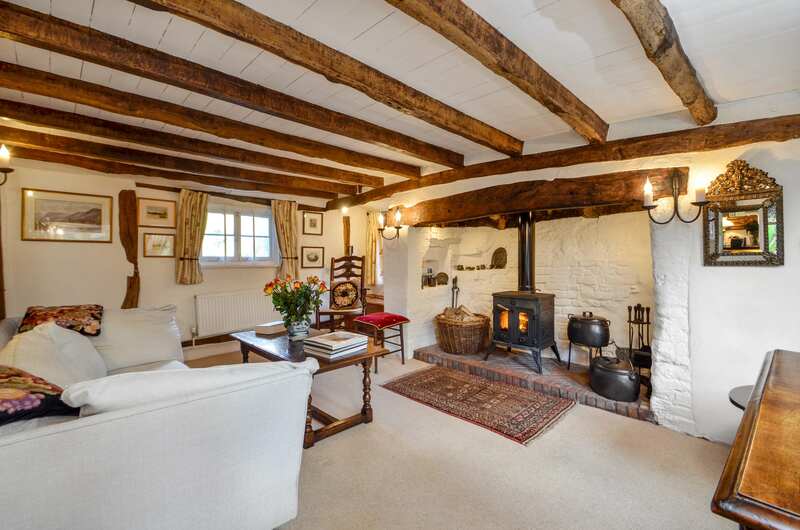 The sitting room has a superb example of an inglenook under a heavy timber bressummer beam while on the opposite side of the room there are bookshelves set behind an old, exposed timber wall frame. “The dining room has another fireplace with a yoke-shaped bressummer and all around the property there are colour-washed exposed brick and stone walls. In the dining room, a door opens into a south-facing conservatory where French windows open into the garden. The kitchen is modern but in a style that suits the overall feel of the property and opening off it is a bathroom. 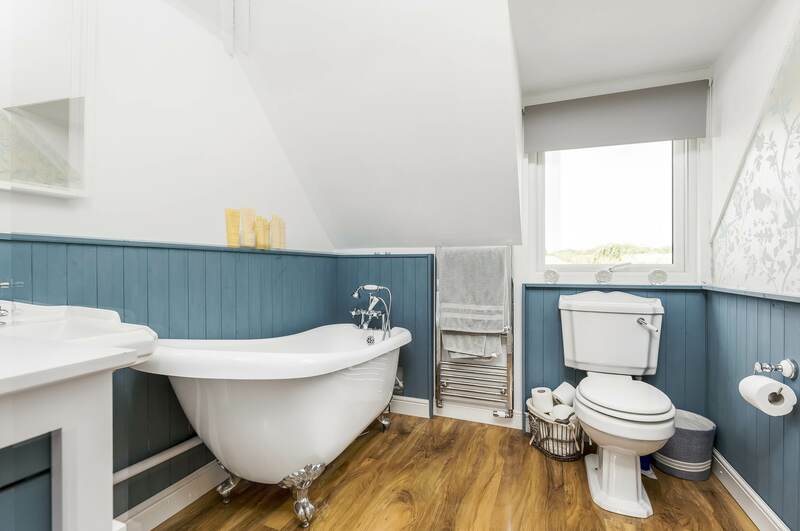 “There is a further bathroom on the first floor serving the three bedrooms, two of which are ample doubles with built-in wardrobes. “Outside is a spectacular specimen and ancient yew tree thought to be around 800 years old – the garden is also home to clipped box and yew topiary. Even the garage is stylish – a barn design with a catslide roof descending over the log store. 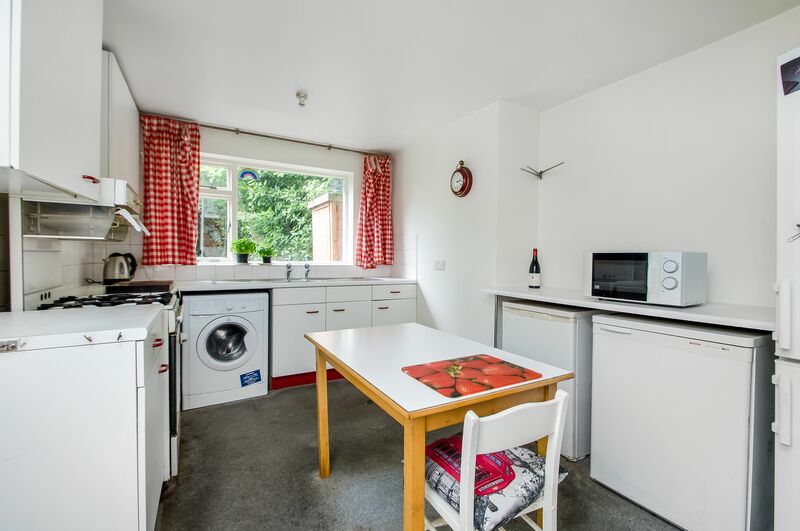 There’s nothing more frustrating for those viewing a potential new home than to find the current owners have installed an expensive new kitchen that just doesn’t appeal at all. At a property called Bluebell Cottage in Horndean the kitchen blues have been dispelled because the owners recognise the dilemma facing buyers – put up with the new kitchen they hate because it’s there or destroy it and feel guilty – by not fitting a new kitchen but pricing the property to reflect it’s work to be done. 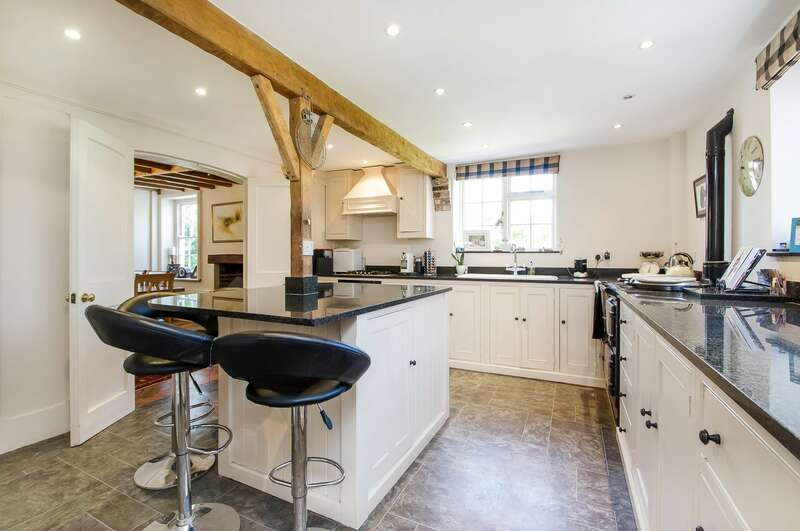 “One of the most common observations after people view a home that’s been renovated is that they don’t like a major aspect of it, such as the kitchen or bathroom,” explains Colin Shairp, of Fine and Country Southern Hampshire. 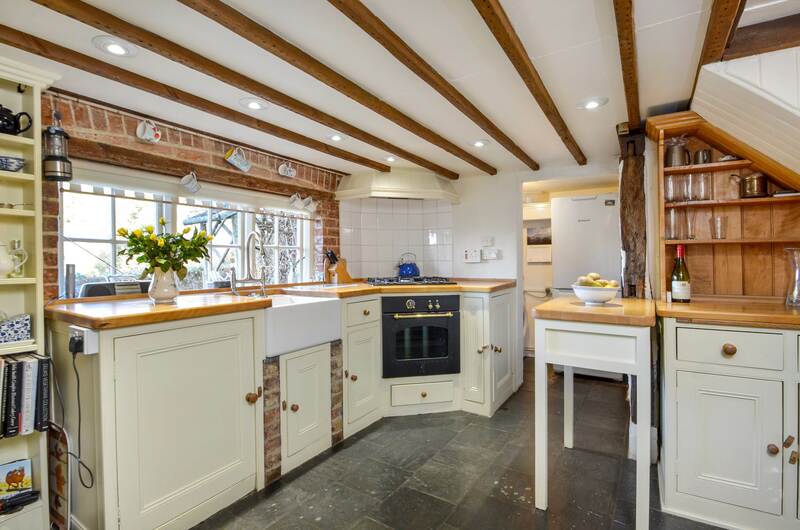 “The owners of Bluebell Cottage are to be commended for not taking the decision to fit a new kitchen, which would have made the house look even better than it does already, and I’m sure potential buyers will appreciate the decision. 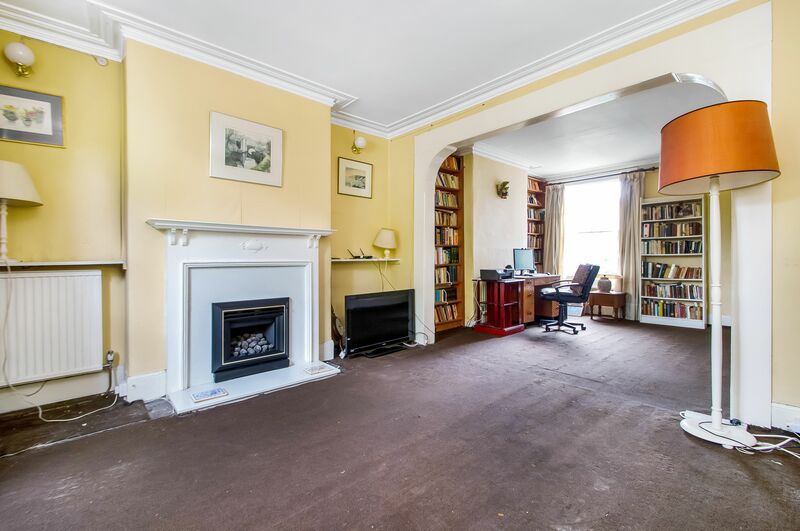 “As it is, the former bungalow home, tucked away in a corner on Five Heads Road, now has two bedrooms and a bathroom on the first floor accessed via a staircase installed in the inner hall which remains a practical living space and would be perfect as a study. “The combined sitting and dining room, which has a third bedroom alongside, is very special, with a central hearth that has fireplaces opening to each part of the living space. Bay windows in each section face east and south and beyond the dining area is the kitchen with a utility / shower room beside it. “Planning permission has been granted to extend the kitchen into the dining room – in fact the RSJ to make the work possible is already on site. Where better to see history in the making float past! 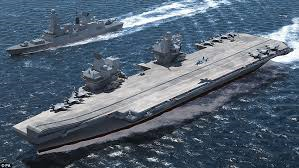 Portsmouth awaits the arrival of HMS Queen Elizabeth, the huge new aircraft carrier joining the fleet, with baited breath. 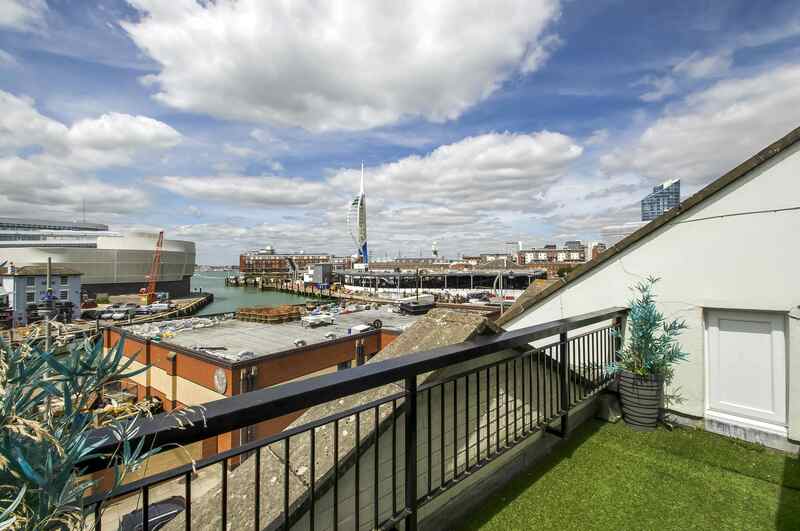 And there’s hardly a better place to see it while avoiding the crowds than a house in Old Portsmouth that’s now on the market and very much reflects what’s happened in the immediate locale. For this modern family home’s arrival on the street scene at Merchants Row, White Hart Road, matches that of Ben Ainslie Racing on the neighbouring Camber Dock and the new carrier’s first visit to its new home, bringing the present day very much to the fore, but in the best possible way, to an area steeped in maritime history. And while the house perfectly suits the busy weekday life of modern families, at weekends it can equally fulfil the role of harbour village home thanks to the presence of the Camber Dock and the ability, if you wish, to walk down to the Dock and see what’s tempting in the catch still being off-loaded from traditional fishing vessels. “The house has been designed to make the most of its position, with a first floor sitting room and a roof terrace accessed from the fourth bedroom at the top of the house, from which there are outstanding views across the Harbour entrance towards Gosport,” says Colin Shairp, of Fine and Country Southern Hampshire. “Whatever passes in or out of the Harbour is visible, whether or not it’s the size of HMS Queen Elizabeth, so there’s always something going on to inspire a day dream or two of exotic places when it’s time to relax. 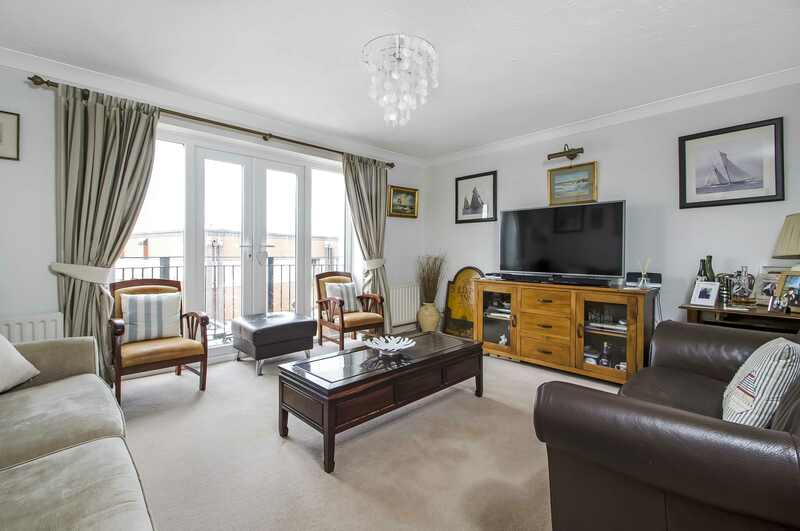 “Equally, when it’s time to be busy there are the excellent shops at nearby Gunwharf Quays and just beyond that the Harbour Station with its mainline trains out of the city in all directions. “Living here would make far more sense for a family than being holed up in London’s ultra-expensive Docklands, where there might be boats bobbing but there’s no instant access to the open sea, the extensive Hampshire countryside, or even the fish sellers on the quayside – or probably not those who actually brought it ashore and can speak for its provenance! 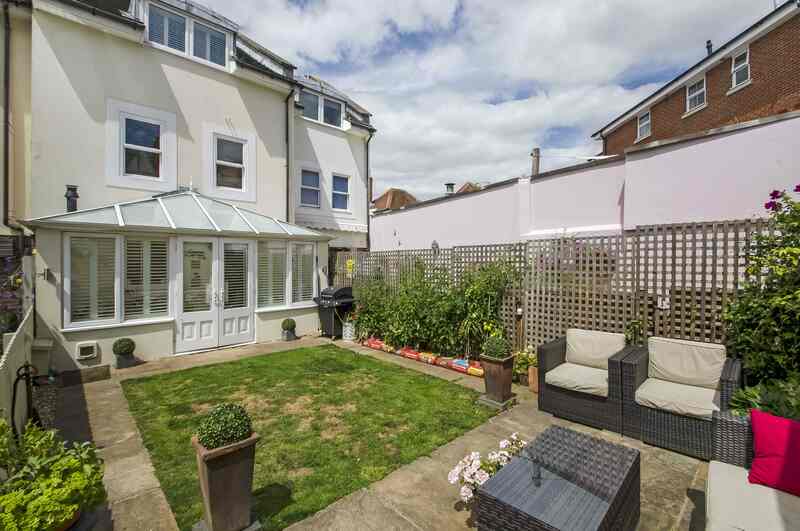 “The house has a kitchen / dining room on the ground floor that opens into a conservatory with French windows into a compact rear garden that still has space for seating areas, a lawn, and shrubs. On the first floor, the sitting room at the front has a balcony beyond French windows while at the rear are the second bedroom, with en-suite shower, and a study. “The second floor is home to the master and third bedrooms and at this level there’s also a family bathroom with direct access from the master bedroom. The third floor has the fourth bedroom, which many people would probably prefer to use as a living space, where French windows open onto the terrace with its breath-taking views. Life in the terraces is as familiar to Portsmouth residents as life on the terraces has become to Pompey fans. But while the fans choose to be there, the terraces of houses became a necessity when the local population began to expand rapidly in Victorian and Edwardian times and there just wasn’t enough space for everyone to live a detached or semi-detached lifestyle. 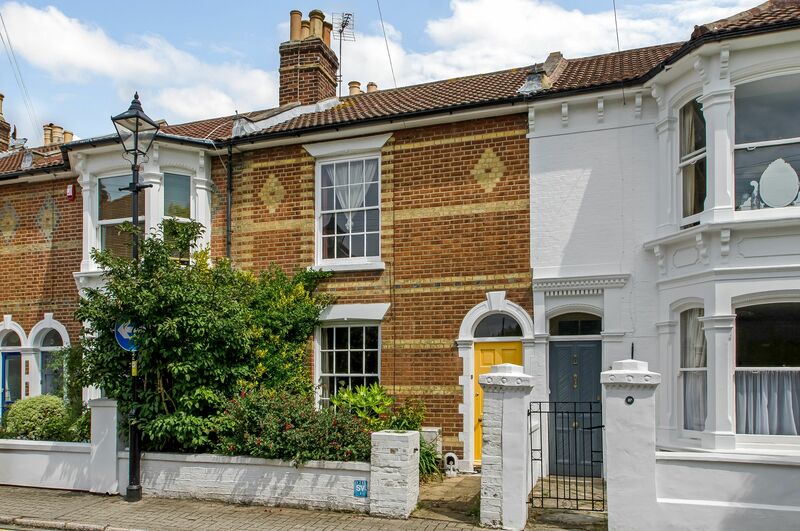 Terraces or not, some of the homes became extremely elegant with their decorative architectural features and a perfect illustration of the genre is now on the market in Pelham Road, Southea. 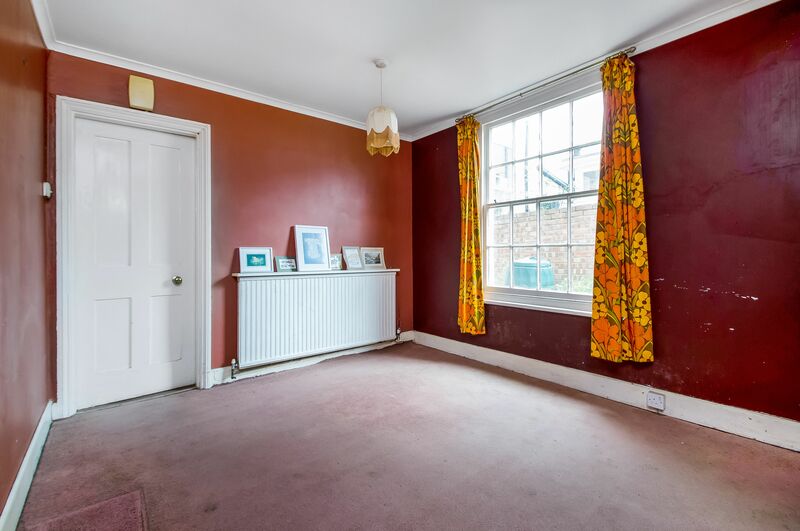 In fact this property makes a perfect opportunity for a family willing to take on some updating and redecoration and maybe even some reconfiguration of the room uses, too, and even better news is that with no onward chain there’s no time like the present for pressing on with the project. 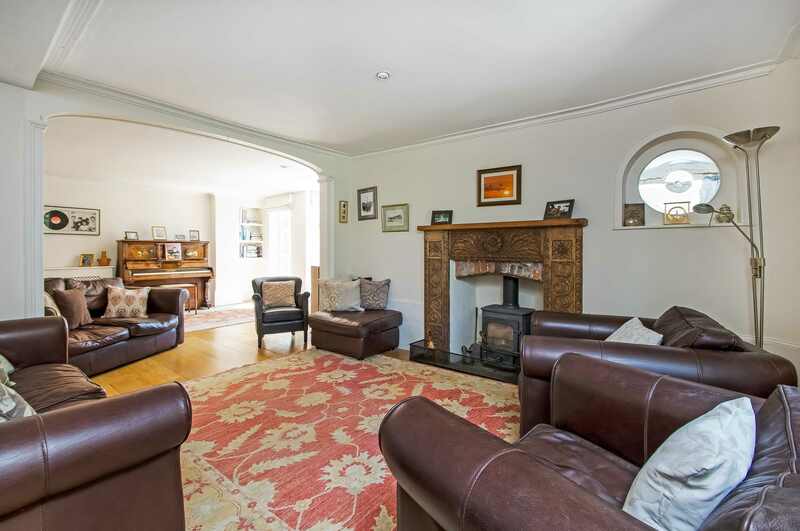 “The house has a through sitting room since the dividing wall between the original two reception rooms was opened up by creating an arch,” explains Colin Shairp, of Town and Country Southern estate agents. “At the end of the long hallway, steps beside the main staircase descend past the cloakroom to the dining room, beyond which is the kitchen. 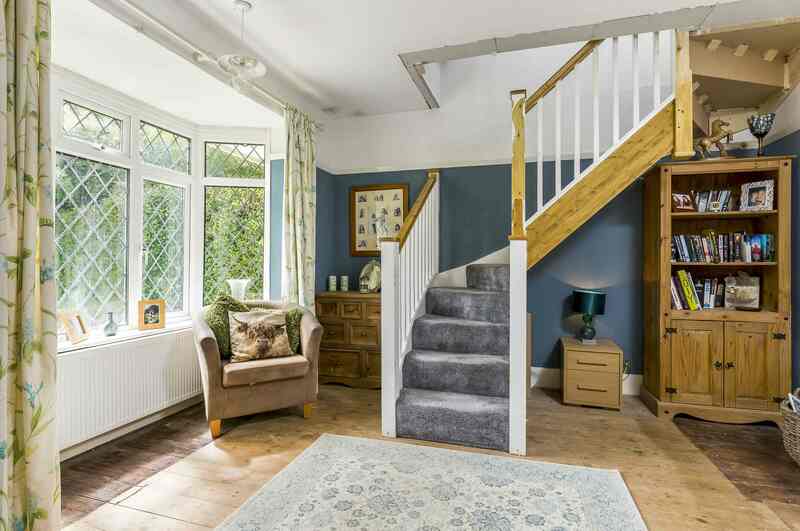 “On the first floor there are three bedrooms, with a cloakroom on this level, and a second staircase then rises to the family bathroom above the third bedroom. It’s possible, and feasible, for these room uses to be swapped, bringing the bathroom down by one level. 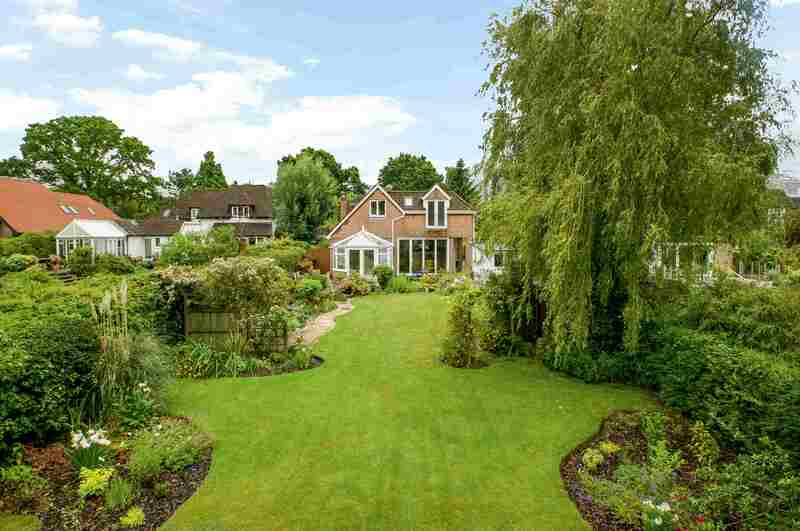 “Behind the house is a garden area alongside a stepping stone path extending back from the patio. 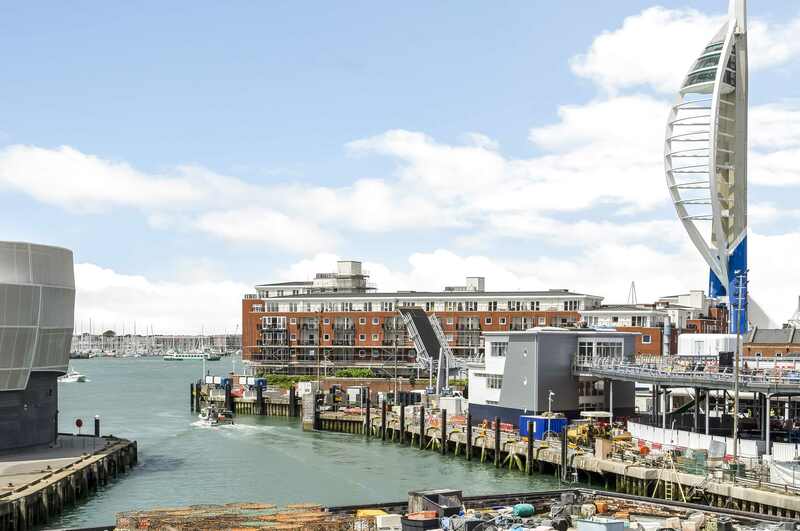 The presence of a house in Old Portsmouth that’s now on the market very much reflects what’s happened in the immediate locale. 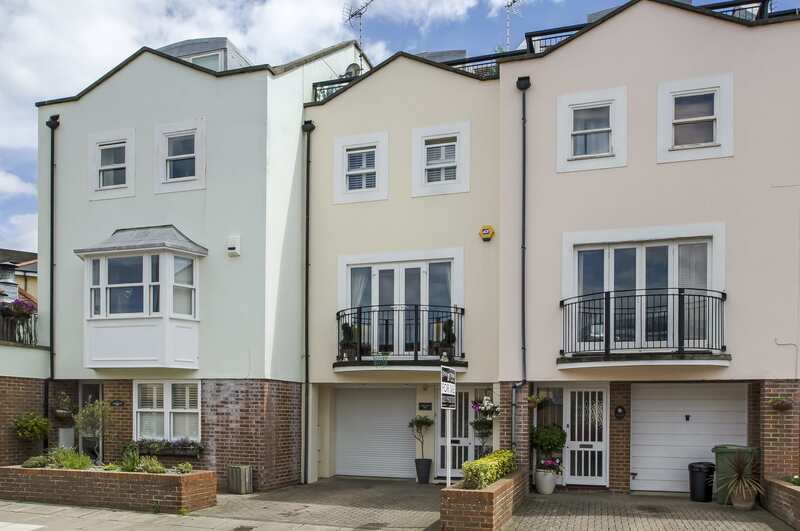 For this modern family home’s arrival on the street scene at Merchants Row, White Hart Road, matches that of Ben Ainslie Racing on the neighbouring Camber Dock, bringing the present day very much to the fore, but in the best possible way, to an area steeped in maritime history. And while the house very much suits the busy weekday life of modern families, at weekends it can equally fulfil the role of harbour village home thanks to the presence of the Camber Dock and the ability, if you wish, to walk down to the Dock and see what’s tempting in the catch still being off-loaded from traditional fishing vessels. “The house has been designed to very much make the most of its position, with a first floor sitting room and a roof terrace accessed from the fourth bedroom at the top of the house, from which there are outstanding views across the Harbour entrance towards Gosport,” says Colin Shairp, of Fine and Country Southern Hampshire. “Whatever passes in or out of the Harbour is visible so there’s always something going on to inspire a day dream or two of exotic places when it’s time to relax. 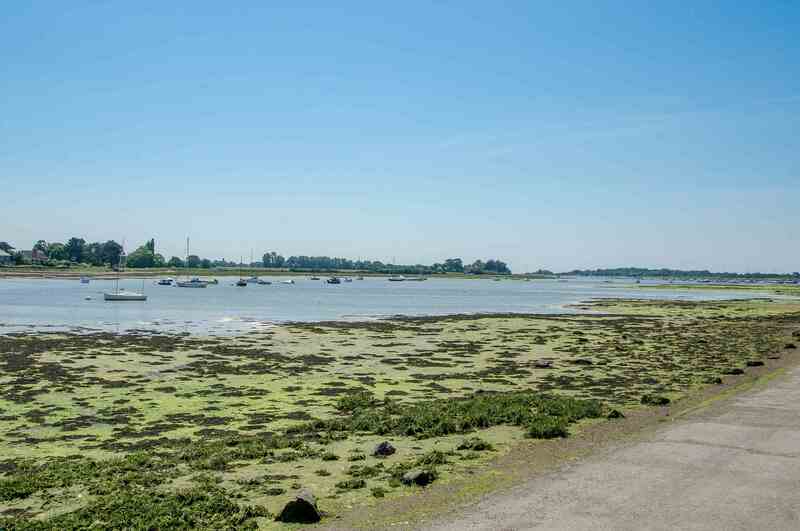 History shows that Bosham is the place to be! 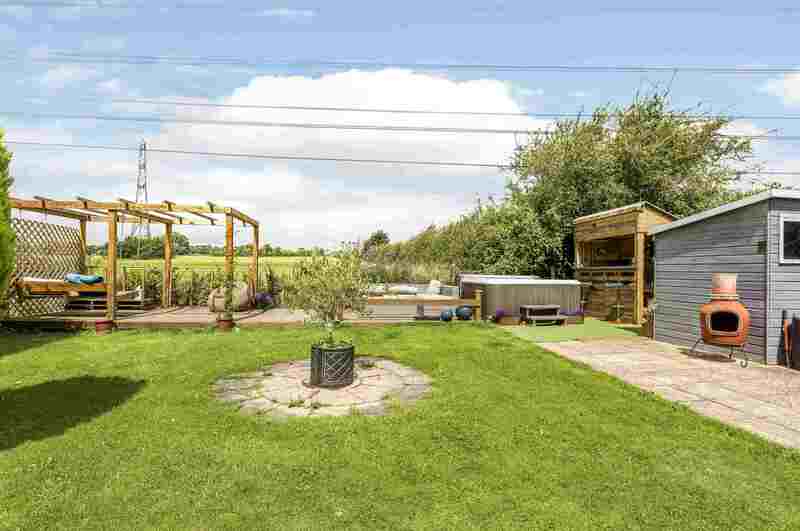 Opportunities in the property market may appear legion when surveying the online portals but genuinely interesting homes are few and far between. 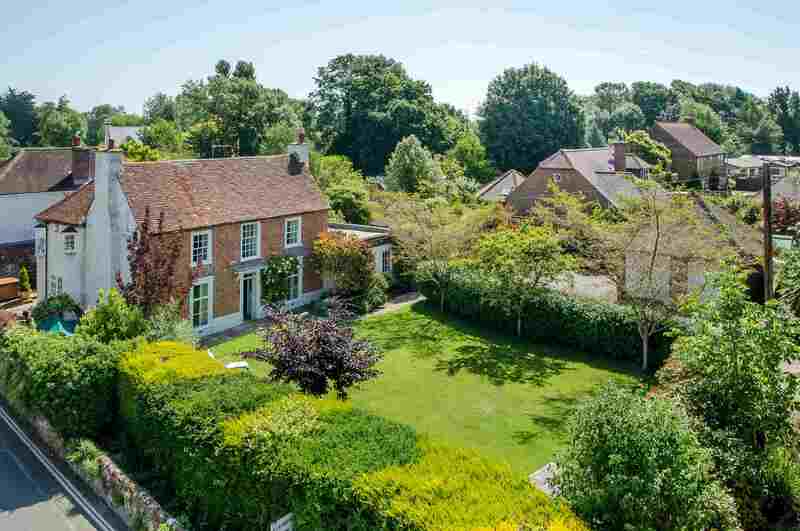 However, a home that can’t fail to impress is Critchfield House in the village of Bosham, set beside Chichester Harbour and so appealing that he harbour is a long-favoured backdrop for photographers. Fortunately, Critchfield House itself offers a great degree of privacy, set a short distance from the harbour in the village centre and well screened from the road. Work during the 1980s revealed evidence of Roman occupation on the site of the house while Saxon stones that were also uncovered could indicate that the foundations were from an early monastery that stood on the site. But even without hidden evidence, there’s enough about the current 17th Century house to offer far more than just visual interest, although the site of an oriel window on the side of the first floor plus a bay window on a rear corner that appears to be conjoined oriel windows will certainly arouse curiosity among passers-by. 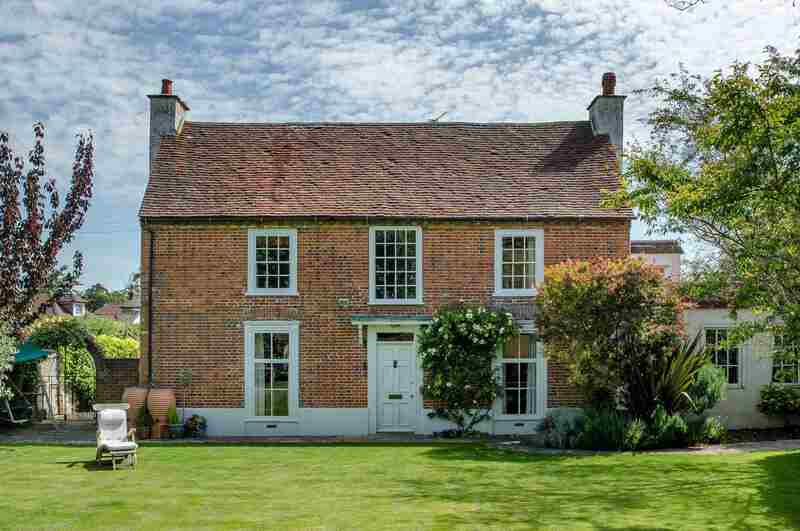 When it was built, there’s no doubt that the occupants appreciated a good level of comfort, reckons Anne-Marie green, of Fine and Country in Emsworth. They also had an appreciable eye for style that will draw appreciation from 21st Century observers, too. “This truly is a stunning house, modern in all the places it needs to be but brimming with character everywhere else,” adds Anne-Marie. 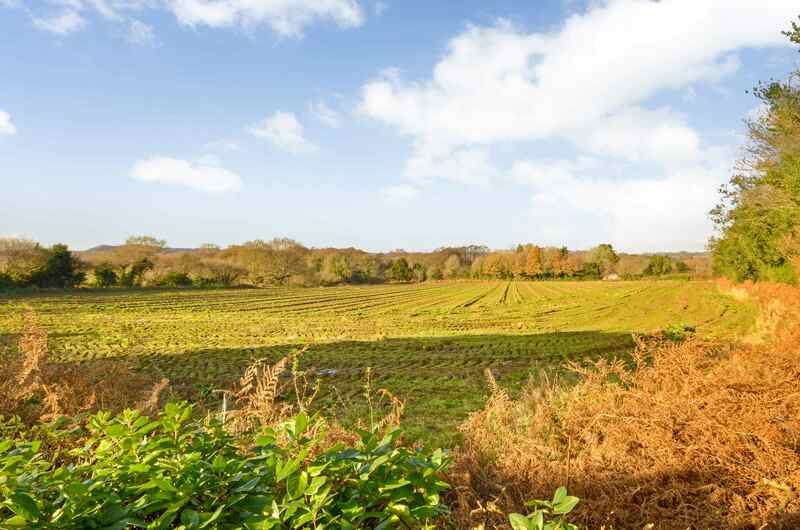 “It’s perfectly placed for those who want a luxury house in a prime location – a description that has obviously applied to this area for the last 2,000 years at least! “Even approaching the house is fascinating with a brick arched doorway off Viking Way, another link to a historical past, perhaps, although the main entrance is via a five bar gate. The house has extensive living space in the traditional way with separate rooms although these can all interlink to present a contemporary open plan approach to using the space. 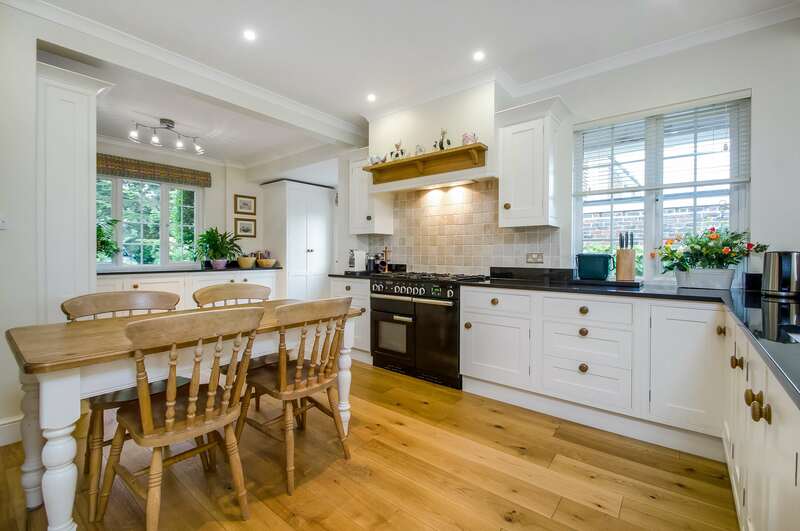 “Four bedrooms on the first floor, all generous in proportion and the master with an en-suite and the fourth, again en-suite, approached via its own stairway from the main hall, make this a real family home. There’s a further fifth bedroom on the ground floor with en-suite bathroom and adjacent utility that could become a kitchen if this area were to be divided into an annexe. Both this area and the access to the fourth bedroom can be entered directly from the courtyard, creating a potential letting opportunity to produce additional income. 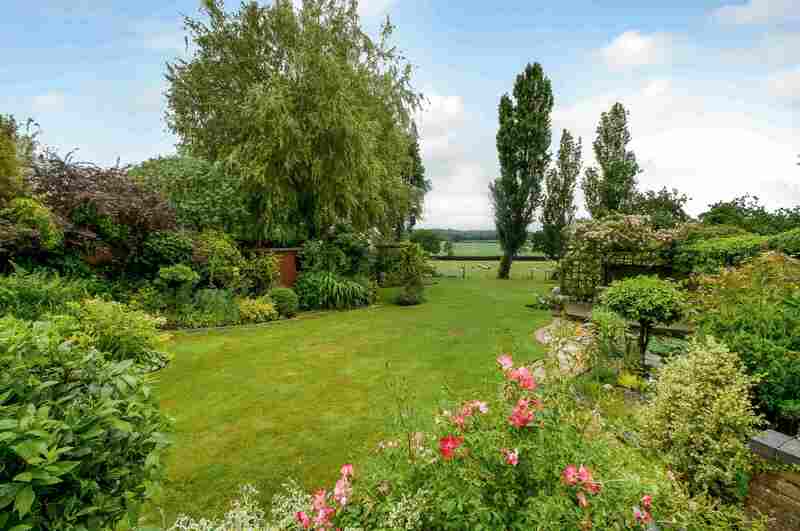 There’s rather more to a cottage at Denmead than initially meets the eye when it’s viewed from the road. 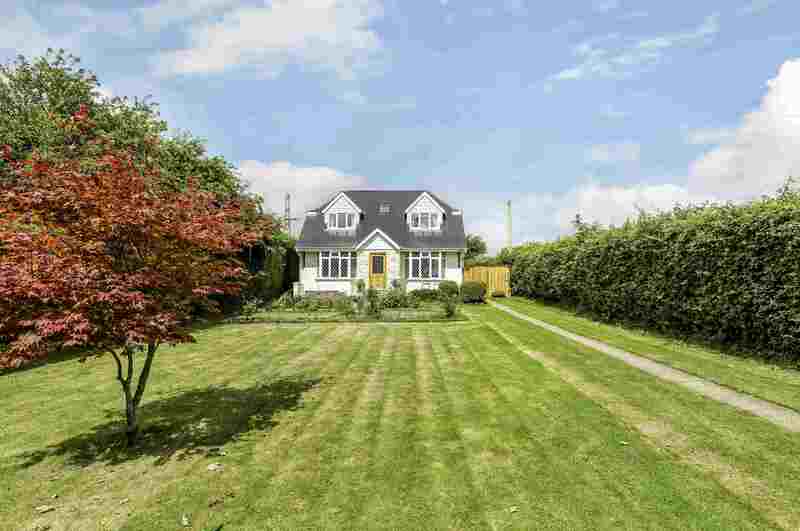 Set on the very edge of the western side of the village, Guelder Cottage in Uplands Road is set in a plot measuring more than a quarter of an acre, with most of it hidden from view by the cottage itself. 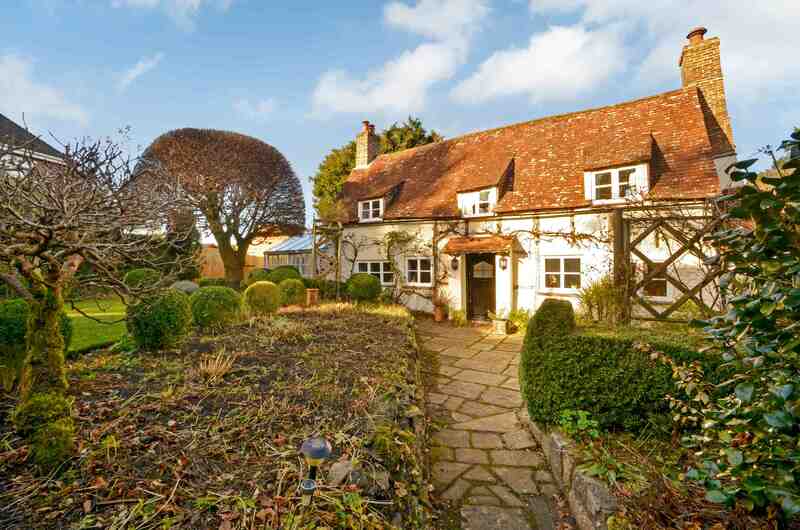 In fact, says Colin Shairp, of Fine and Country Southern Hampshire, the description “cottage” may be a little misleading because with more than 2,800 sq ft of accommodation the property has far more living space than many houses that could readily be described as “large”. “Buyers with a growing family, or who just appreciate enjoying generous space, will find all that they want at Guelder Cottage,” explains Colin. 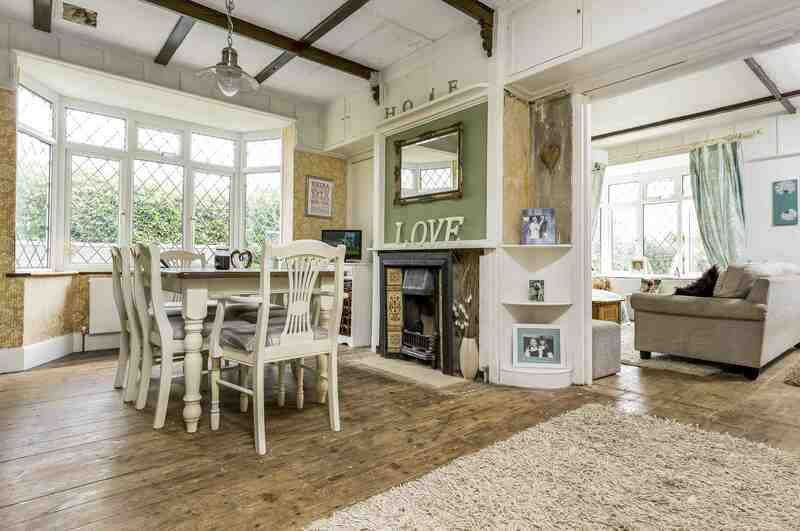 “In addition to that, it also has an interesting layout with a split level kitchen and dining room on the ground floor and a half landing with separate secondary staircases to the front and rear wings of the cottage. 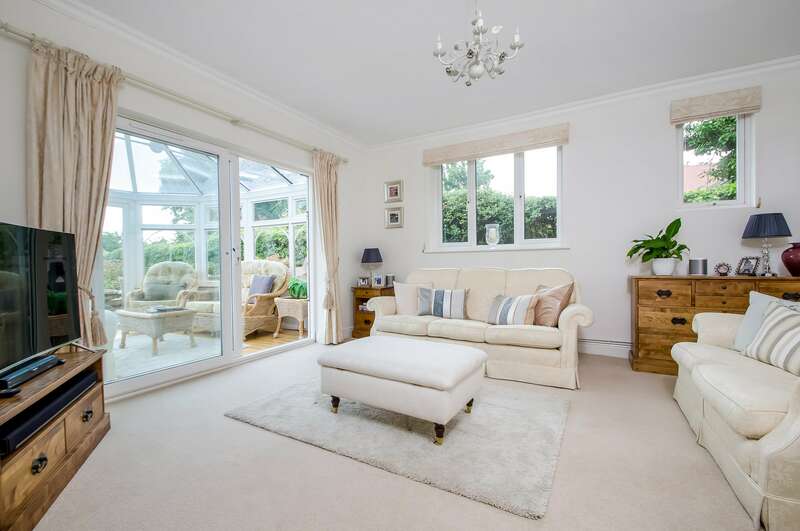 “The kitchen, dining and sitting rooms, and conservatory can all become one large space just by opening the connecting double doors between the sitting and dining rooms. The separate study and drawing room opening off the entrance hall create quiet areas while the ground floor bathroom also makes it possible to have a downstairs bedroom using the study without detracting from the flexibility of the space. 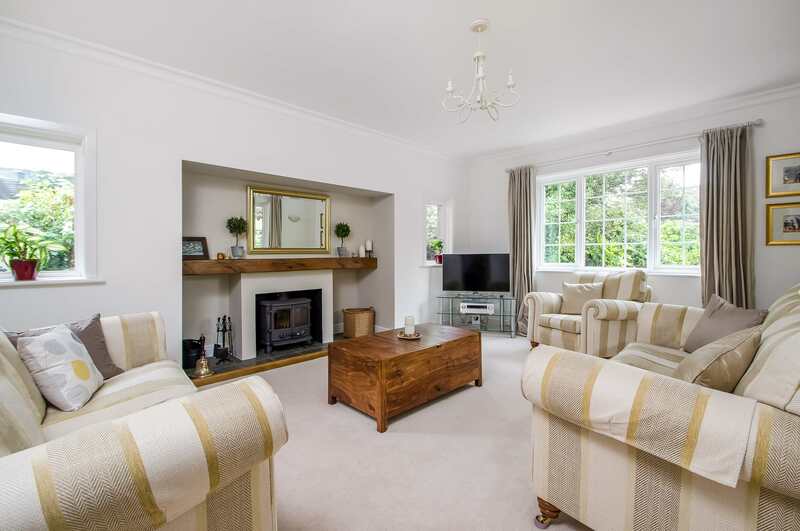 “The first floor has four double bedrooms, three of them with fitted furniture and the fourth, at the front, with three doors into eaves storage. A striking feature throughout the house is the abundance of natural light. With the bedrooms, there are Velux roof lights in each as well as conventional fenestration – in the master bedroom double French doors open to a Juliet balcony to give a view along the garden to the fields beyond. 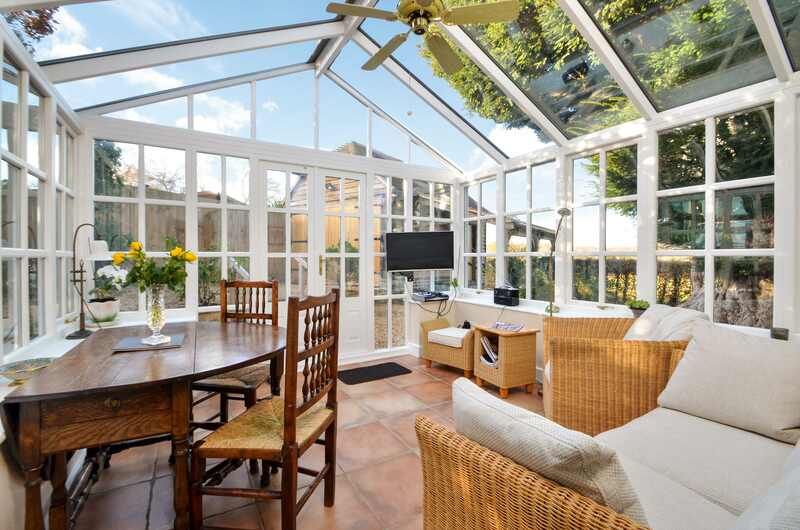 “With the bi-fold doors in the dining room and French doors in the conservatory attached to the sitting room, the outdoors becomes part of indoors very easily.